In our increasingly digital age, automation is synonymous with driverless cars and robots in the checkout queue. But automation can also mean added assistance in the workplace, especially with menial tasks that you probably wouldn’t want to spend the bulk of your time and productivity on. These functions range from automatically streamlining data to reducing the steps needed to fulfill an action. Most execs already know that streamlining operations is important — according to an MIT Sloan survey, executives at 91% of companies say digital technologies have the potential to fundamentally transform the way companies work — but exactly how does it transform work? 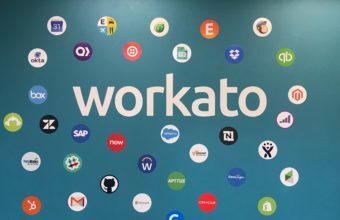 At Workato, we’ve seen how workflow automation has helped companies of all sizes be more productive. Here are eight ways automation directly addresses the challenges businesses face every day. Fact: Lost productivity and poorly managed leads cost companies at least $1 trillion every year. That’s a lot of money wasted. And if you think about the time spent generating and nurturing leads, all that effort could have been spent on better managing these contacts into a solid sales pipeline. With automation, you can leverage your apps—including your CRM—to get a 360° view of each customer, all in one place. Fact: 50% of sales time is wasted on unproductive prospecting. Sales doesn’t have to be hit-or-miss. You can easily identify quality prospects with the right tools. It all boils down to knowing your customers well—which is key to closing a sale. It’s important to build relationships with your customers by understanding what they need at each point of the buyer’s journey. Mapping lead nurturing content is easy with the right tools that support your goals throughout the sales cycle. Automation is the glue that holds your MarTech stack together. Fact: 51% of organizations use 21 or more digital marketing solutions, but only 9% of companies have a complete, fully-utilized MarTech stack. A marketing technology stack is the collective use of specialized technologies for your marketing efforts—from content management and CRM to analytics and social media tools. With the explosion in the development and use of MarTech, it’s clear that companies are discovering the real value of digital marketing solutions. The MarTech space is teeming with apps, but simply using a bunch of apps does not a MarTech stack make. Integration links your marketing apps together and allows you to construct automated workflows, so your marketing workflows happen just as you need them to. Fact:Email is 40x more effective at converting new customers than Facebook and Twitter combined. You’d think that with the rise of social media and chat platforms in recent years, email might not be as valuable a tool as it once was. But it still boasts the most significant marketing ROI and conversions—if you update your email marketing strategy. Implementing personalization is made vastly easier by automation, which allows you to use apps like Constant Contact or MailChimp to send well-crafted and highly targeted emails to effectively nurture your prospects. Multitasking comes with a steep price tag. Fact: 40% of productivity is lost to task-switching. We may try to juggle as many projects or tasks as possible, but in the end we’re only human. In fact, studies have shown that we are inherently bad at multitasking; our brains are simply wired to focus on one thing at a time. But many workflows require that we work within multiple apps simultaneously. Customer service agents, for example, straddle apps such as Zendesk, Salesforce, and Intercom to triage and resolve tickets. With automation, you can streamline data across these apps, optimizing agents’ time by increasing visibility and centralizing their work. You can even use bots to perform tasks from your preferred hub, such as Slack. Fact: 97% of employees and executives believe that a lack of alignment within a teamimpacts the outcome of a task or project. At any successful company, teams and departments run like well-oiled machines. Collaboration is key to functioning well—and that means keeping up-to-with changes between departments. Automation effectively supports modern teamwork by making it easy to get everyone on the same page (and keep them there! ), from syncing departmental apps to automating long process like on-boarding and reporting. Fact: 73% of Customer Support professionals report that managing time and workload was the biggest issue faced in customer support. As the frontline of the customer experience, Customer Success professionals face their fair share of challenges. They’re constantly bombarded with tickets to resolve, and unhappy customers to pacify—not to mention all the apps they need to juggle on a daily basis. A possible consequence? Burn out. 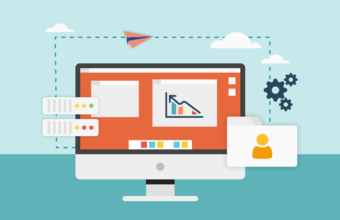 Automation can definitely make their jobs easier, simply because they have fewer processes to execute, whether it’s accessing the right customer information or accurately triaging a large volume of tickets. Automation eliminates manual data entry. Fact: Employees spend 20% to 40% of their time searching for documents manually. In fact, professionals spend 50% of their time searching for information and take an average of 18 minutes to locate each document. Silos exist because of a lack of communication between teams or due to poor organization in the form of incorrectly filed documents or lost data. Sometimes, we may even spend more time manually recreating a duplicate, thinking we’ve lost the original. This tedious process comes at a cost, wasting precious time and inhibiting productivity. With automation, however, we can eliminate the admin work we all spend too much time doing—and reduce app silos in the process! For example, it allows you to automatically streamline data between a CRM (like Salesforce) and an accounting program (such as NetSuite)—no more manually adding invoices to opportunities! And automation also simplifies searching for, retrieving, and archiving data. Workato is a platform for Dynamic Digital Businesses that can help solve all of these pain points. As the number of apps used in every department grows, so does data fragmentation. The rising number of apps also proves problematic for security reasons as 94% of all cloud apps are not enterprise-ready according to Netskope, which can have serious security and compliance implications. Automating business processes on Workato saves your team time, money, and increases sales. Plus, Workato’s SOC-2 compliant, secure architecture ensures that IT can manage and govern all automations, stopping Shadow IT in its tracks. Want to learn how Workato helps you create automations that go live in minutes?